Animal Cage Water Bottle are made of Polypropylene and Stainless Steel . These water bottles prove to be an excellent accessory for the species kept in the cages . 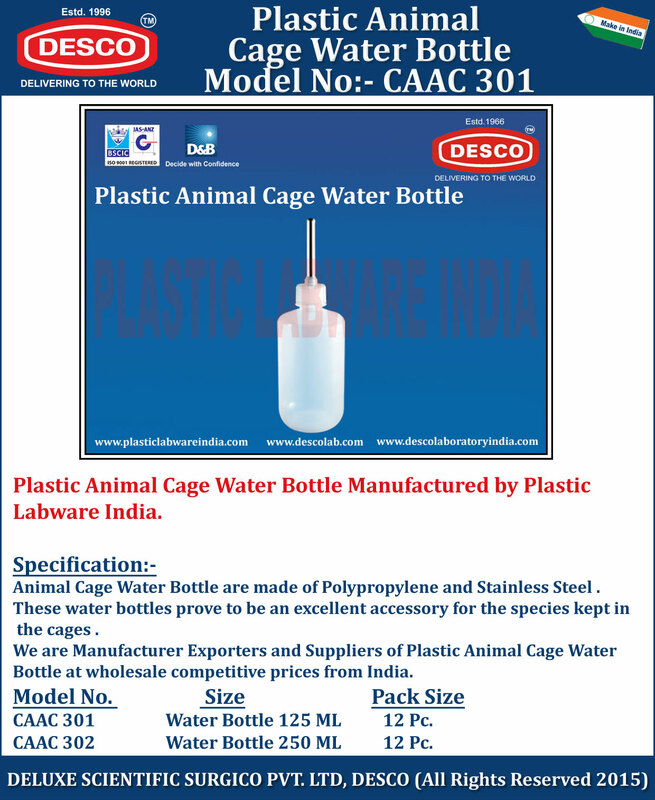 We are Manufacturer Exporters and Suppliers of Plastic Animal Cage Water Bottle at wholesale competitive prices from India. CAAC 301 Water Bottle 125 ML 12 Pc. CAAC 302 Water Bottle 250 ML 12 Pc.